As Argo AI nears its first anniversary, its CEO posted a blog detailing the challenges that remain to develop self-driving vehicles. Argo AI, a U.S. artificial intelligence company backed by Ford, has grown from about two dozen employees a year ago to nearly 200. But Bryan Salesky, Argo AI's CEO, said much work remains before it can help Ford bring an autonomous car to market in 2021. 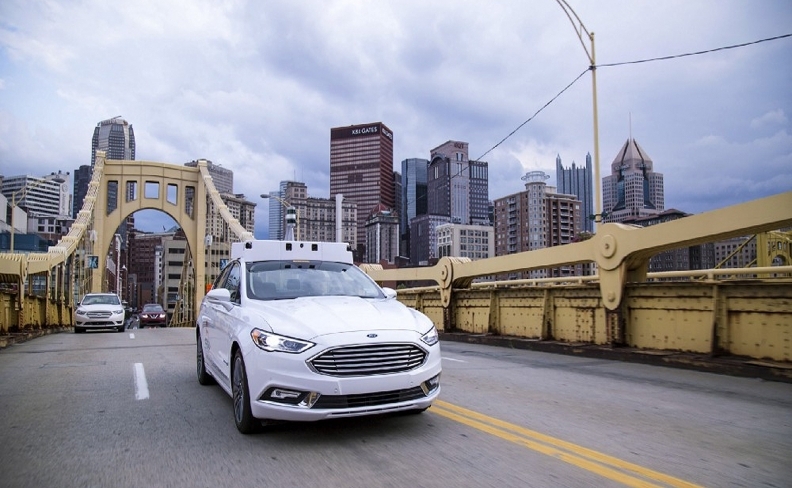 Ford announced in February it would invest $1 billion over five years and become a majority stakeholder in the company, which specializes in robotics and virtual driver systems. It was founded by Salesky, formerly of Google, and Peter Rander, formerly of Uber. Both are alumni of the Carnegie Mellon National Robotics Engineering Center and left their respective companies late last year to form the startup. As Argo AI nears its first anniversary, Salesky on Monday posted a blog detailing the challenges that remain to develop self-driving vehicles. That involves using a host of sensors, including lidar, cameras and radar, and logging millions of miles of on-road testing. "We are innovating across the sensing hardware and software stack to lower costs, reduce sensor count, and improve range and resolution," he wrote. "There remains significant work to be done to accomplish these conflicting objectives and get the technology to reliably scale." Argo is testing vehicles in both Pittsburgh and southeast Michigan, Salesky said. The challenge is generating enough repetitions so the algorithms can react quickly and safely to every possible outcome for a particular driving situation. "We're still very much in the early days of making self-driving cars a reality," he said. "Those who think fully self-driving vehicles will be ubiquitous on city streets months from now or even in a few years are not well connected to the state of the art or committed to the safe deployment of the technology. "For those of us who have been working on the technology for a long time, we're going to tell you the issue is still really hard, as the systems are as complex as ever." Ford plans to launch a Level 4 autonomous vehicle for commercial uses like ride-hailing or package delivery in about four years. The automaker has offered few details about the project and has not named what vehicle it will use. "We're taking a pragmatic approach to bringing about fully self-driving cars -- incorporating the state of the art while acknowledging there's no silver bullet," Salesky said. "We're playing the long game and avoiding the hype in our commitment to bring this important technology to maturity in the form of a great product that earns the trust of millions of people around the world."